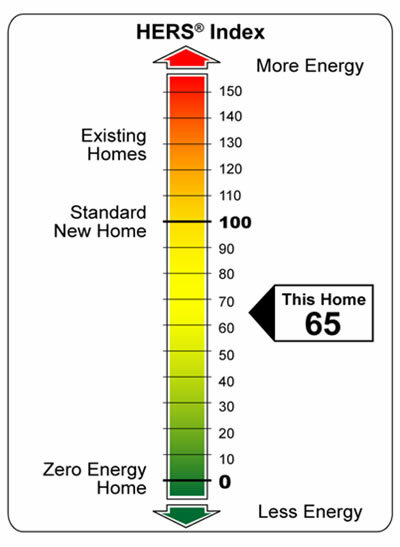 The RESNET Home Energy Rating System (HERS) Index is used to communicate the relative efficiency of a home to builders, developers, and consumers. The scale is set with 100 being equal to the efficiency of a standard new home, and 0 being a home that produces as much energy as it consumes. In short, the lower the HERS score, the more efficient your home is. A typical Pepper-Viner home starts at 70 and goes down from there. For more about HERS visit here.